Researchers have now grown lung organoids from human embryonic stem cells that, after implantation in mice, can develop mature alveolar type 1 (AT1) and AT2 cells and architecture approximating that of human lungs. 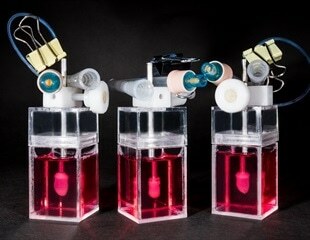 New lung "organoids"-tiny 3-D structures that mimic features of a full-sized lung- have been created from human pluripotent stem cells by researchers at Columbia University Medical Center. The team used the organoids to generate models of human lung diseases in a lab dish, which could be used to advance our understanding of a variety of respiratory diseases.